As focused and attentive corporate event planners, we know that events are just as important as your product or service. By creating an experience for staff, prospects, suppliers, customers and clients, we are delivering a reflection of your brand. 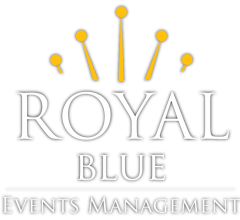 When internal resources are stretched or perhaps you are seeking support from professionals within the event industry, Royal Blue Events has been a reliable and loyal event partner for many businesses. Our previous clients have hired us to deliver events for HR teams, marketing departments (including external agencies) and business development/sales teams to name a few. Our appreciation for marketing and communications, has enabled us to stand out from the crowd. We have a strong understanding of solid marketing strategies and how events can impact your overall brand perception and thought leadership. We have become an important piece of integrated campaigns and have been able to help execute events that are consistent and reflective of current campaigns. Furthermore, Royal Blue Events provides support and expert guidance in areas that you need it most. By blending into the background, your team is able to focus on achieving your overall business goals and priorities.